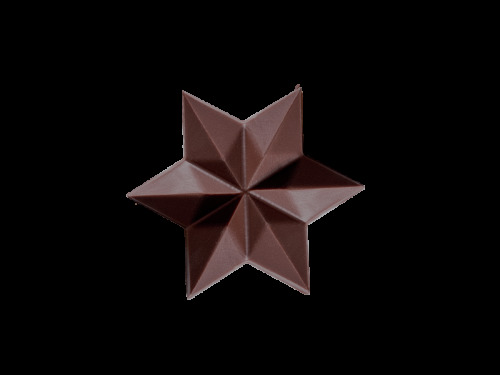 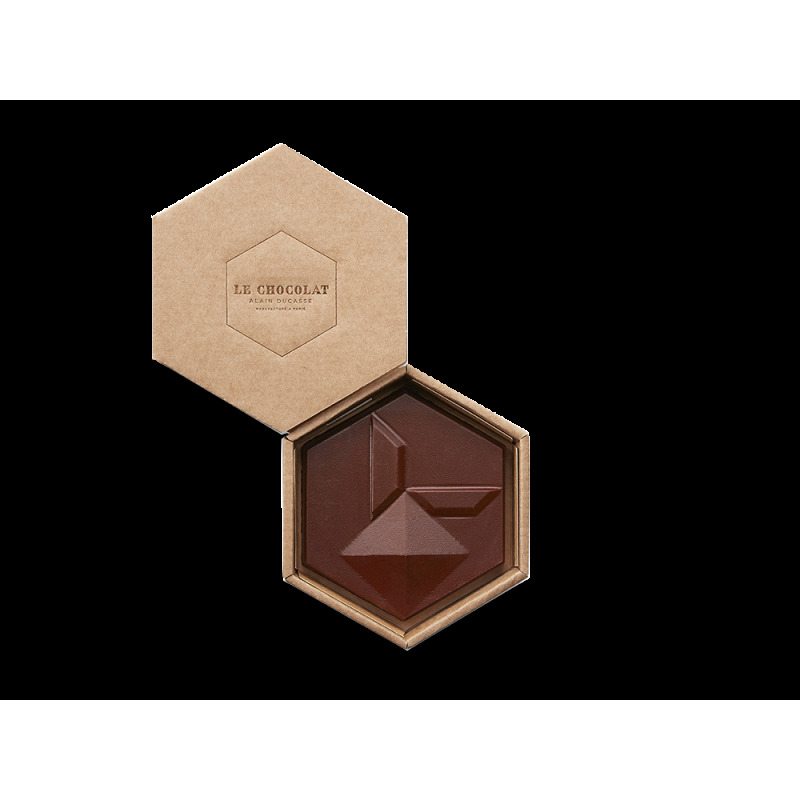 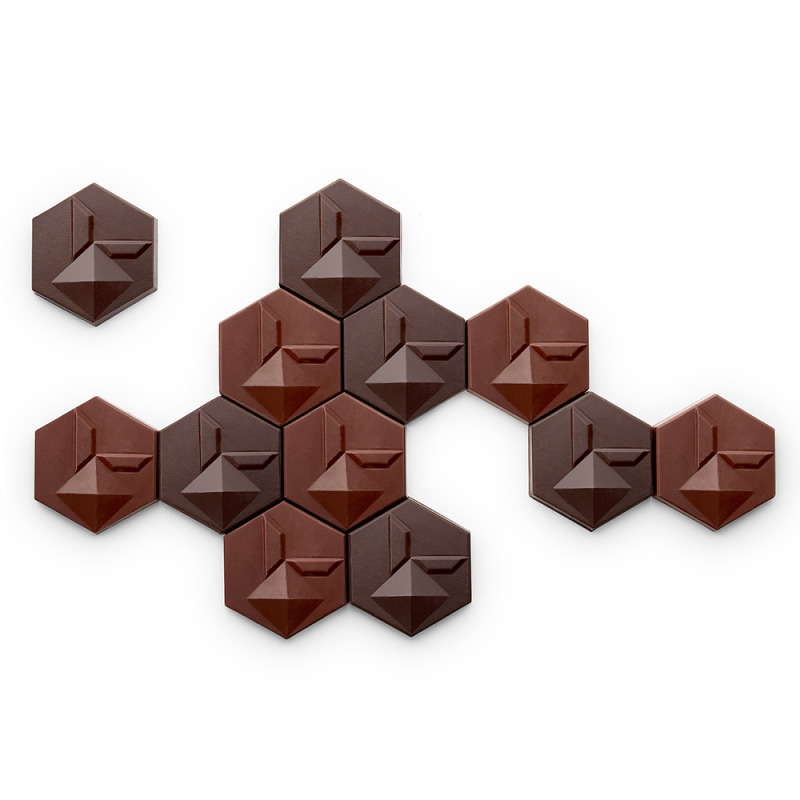 With its hexagonal shape & sharp angles our Travelling Bunny recalls the beveled lines of our chocolate bars. 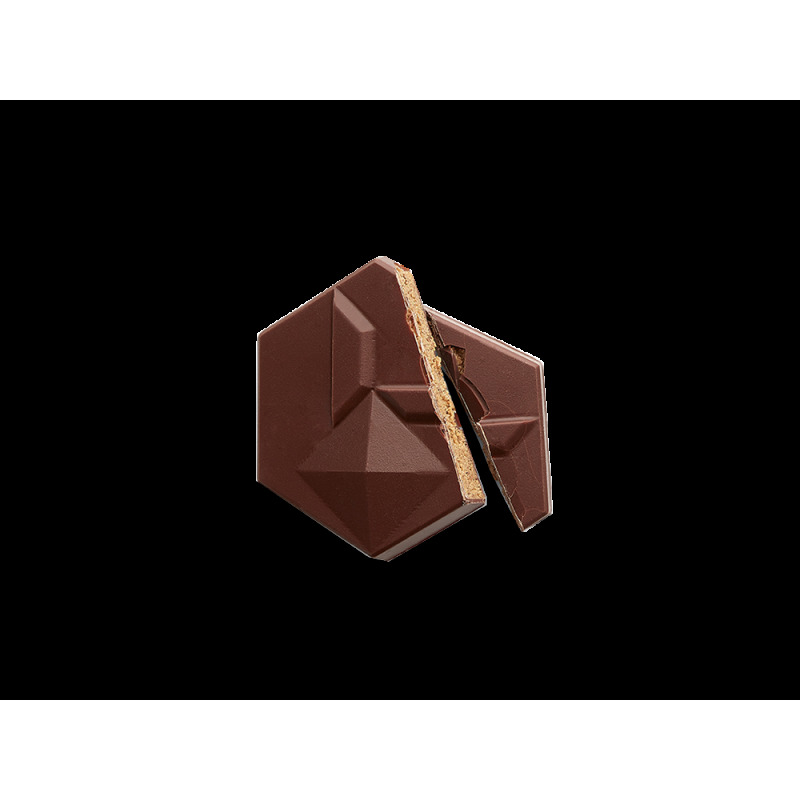 Coated in milk chocolate it hides a delicious hazelnut praline. 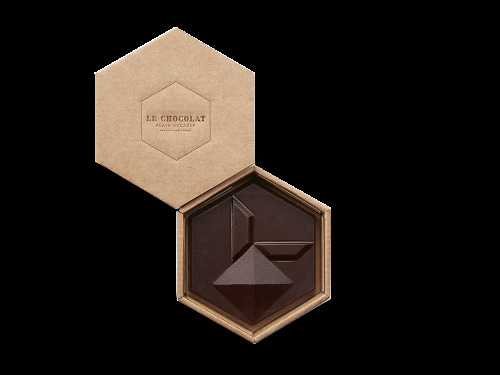 Nestled in his box he fears neither shocks nor transport !